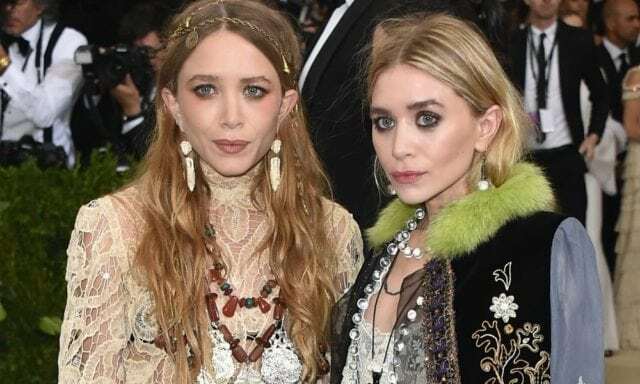 Is Ashley Olsen Really Dead, What Is Her Net Worth, Who Is Her Husband, Boyfriend? Ashley Olsen is best known as the twin sister of Mary-Kate Olsen, with whom she made her acting debut in the universally acclaimed television sitcom, Full House, in 1987. The sisters stormed the movie industry just eight months after their parents had them. They rose to prominence after playing the fictional role of Michelle Elizabeth Tanner in the sitcom. Tanner, as portrayed in the series, is the last child of the Tanner family famed for her clever catchphrases such as “you’re in big trouble, mister”, “you got it dude”, and “no way, José!”. Together with her twin sister, Ashley went on to star in a good number of movies and television series until the year 2004 when she switched her interest to fashion design and business. The former child star officially brought her career to an end in 2004 while her twin sister continued making appearances on the screen until 2012 when she fully joined her sister in the fashion industry. Today, the sisters are doing very well in the business industry, having been around for since 2012. According to records, the former actress was named Ashley Fuller Olsen by her parents after they welcomed her into the family on June 13, 1986, in Sherman Oaks, California, in the United States. She was born to a personal manager mother and a father who works as a mortgage banker and real estate developer. Ashley’s biological mother and father – Jarnette Olsen and David Olsen – are also parents to her twin sister Mary-Kate, older brother, Trent Olsen and younger sister, Elizabeth Olsen. Born on May 6, 1984, in Sherman Oaks, Los Angeles, California, Ashley’s big brother, Trent, is a showbiz personality, musician, and actor while Elizabeth is also an actress famed for her breakout movie Martha Marcy May Marlene. She was born Elizabeth Chase Olsen on February 16, 1989, in Sherman Oaks, California. Ashley Olsen, who is an American by nationality and belongs to Norwegian and English ancestry, has a younger half-sister called Taylor Olsen (born 1992) and a half-brother brother named Jake Olsen (born 1998). The two came from her father’s second marriage to McKenzie Olsen. Ashley’s father had Taylor and Jake after he divorced her mother, who is of French, German and Italian descent, in 1996. Talking about the fashion designer’s education, Olsen studied at the Campbell Hall School in Los Angeles and later graduated from New York University’s Gallatin School of Individualized Study along with her twin sister. Who Is Her Husband, Boyfriend? The former child star is not married yet but she has previously been in open relationships. Her last known relationship was with American financier and art dealer, Richard Sachs. Sachs, who was 58 years old at the time of their separation, made his love for the fashion designer open for the first time in November 2016. The couple called it quits in March 2017, barely five months after they were spotted together at a couple of events looking loved up. Ever since the former actress and producer broke up with her boyfriend, she has not been in any known relationship. Ashley could be secretly dating someone but we’ll assume she’s still single until she shows off her man to her fans. What Is Ashley Olsen’s Net Worth? Ashley Olsen and her sister, Mary-Kate, share so many things in common. The two are not just fraternal twins but also business partners who are currently making waves in the business industry following their decision to quit acting shortly before they clocked 20. Today, the sisters have a wealth of business channels, including a production company called Dualstar, which they launched in 1993. Ashley and her twin have a fashion line called The Row and a lower-priced contemporary line known as Elizabeth and James. While The Row is a couture line, the Elizabeth and James brand was named after their elder brother and younger sister. The fashion line deals on fragrances, handbags, eyewear, and clothing. The Olsen twins also have several awards to their names for their involvements in the movie and fashion industries. In 1996, the duo won the Kids’ Choice Award for Favorite Movie Actress. The sisters also emerged the winners of the Kids’ Choice Award in 1999 for Favorite TV actress in their roles in Two of a Kind. Sometime in 2012, Ashley and Mary-Kate were named the Womenswear Designers of the Year by the Council of Fashion Designers of America (CFDA). The twins were also honored by CFDA in 2014 but this time as Accessory Designers of the Year for their classic high-end designer label. They ended their 2015 with another award from CFDA as Womenswear Designers of the Year, making them one of the world’s successful twins to watch out for. As of 2018, Ashley and her twin sister’s wealth is valued at $400 million. Ashley is not dead neither has she been in the news for passing away. The young woman is kicking strong and seems to be preoccupied with her fashion business.